This statistic shows the results of a survey among U.S. Baby Boomers regarding the improvement of their video viewing experience. 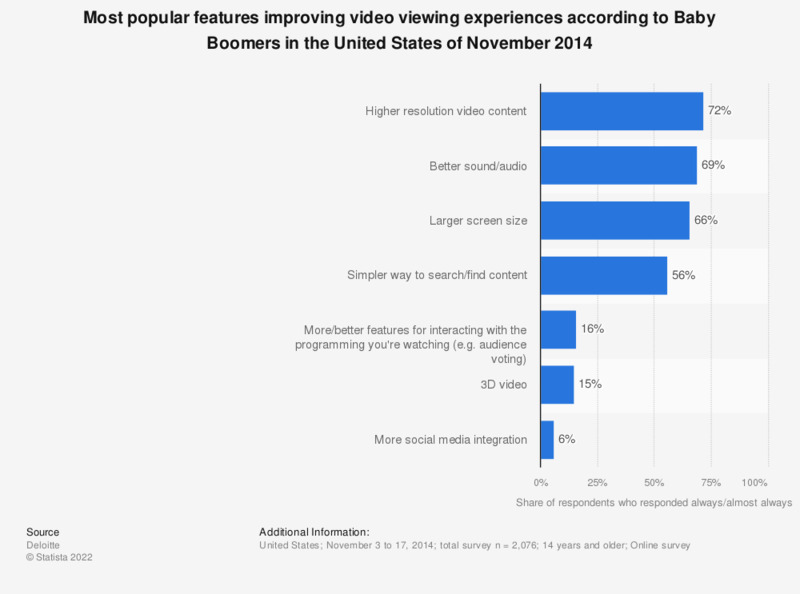 During the November 2014 survey, it was found that 72 percent of respondents found higher resolution video content to improve their viewing experience the most. Baby Boomers = age group 49 to 67 years. The original question posed by the source was: "Thinking about the entertainment content you watch at home, which three characteristics would improve your viewing experience the most?"